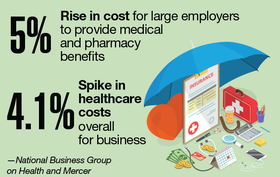 Open enrollment is coming to a close for most employer-sponsored health plans. Though the percentage is still small, more and more companies are turning to direct contracting in benefit design. Here are some projections for 2019.